Accessory Genie - Consumer Electronics and Accessories Industry News: Get Up - Get Out - Get Moving! Once the ball dropped at midnight and 2014 had officially begun, almost all of us said we were going to be more active this year. Most of us made it out to the gym here or there and even took the casual run around the park. But now it’s February and all that “active” talk is over and we are back to the same old couch routine. Let the GOgroove BlueVIBE AGL put the pep back in your step and get you back into a healthier routine. Use coupon code ‘AGLSPORT’ to save 25% and receive Free Shipping on all AGL orders placed before 2/24/2014. The BlueVIBE AGL headphones are built to perfectly match your lifestyle! 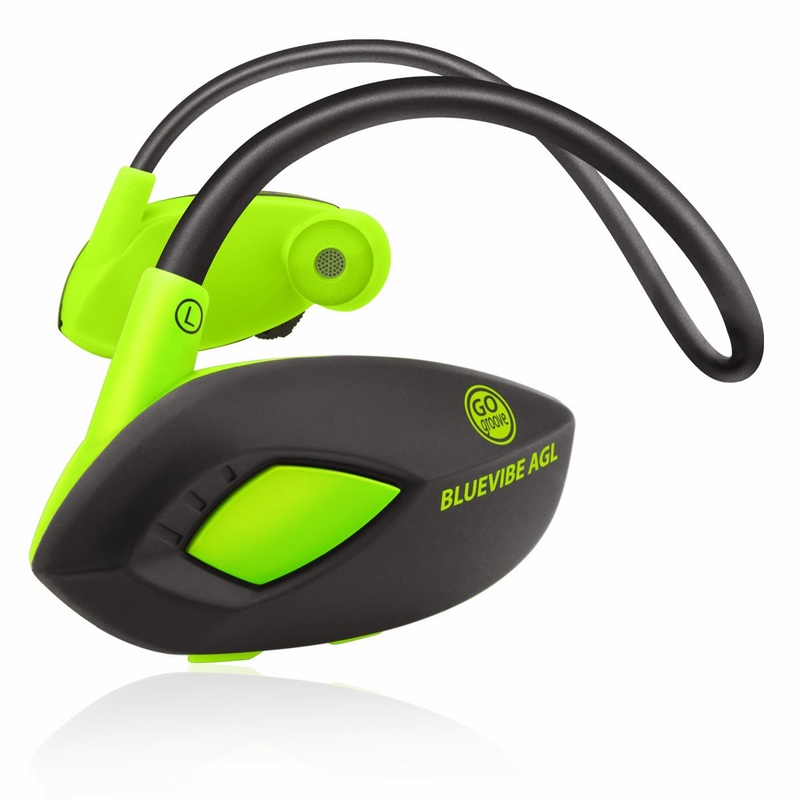 The BlueVIBE AGL sport headset allows you to stream wireless audio from your favorite Bluetooth-enabled media device, whether you’re running, hiking, at the gym, doing yoga, pilates, crossfit training and more! The ergonomic neckband and lightweight form factor wrap easily around your head for maximum comfort, while the angled earbuds guarantee a secure fit in your ears when you’re on the move. And with the AGL’s flexible and compact design, you can easily store them in your pocket or bags when you’re done. With precision-crafted 13.5mm stereo drivers, this headset will deliver clear, crisp audio no matter what you’re listening to! The AGL also features a built-in microphone, so you can take calls while you’re on the go. Music will fade out if you receive a call, allowing you to answer, end, redial or send to voicemail with the touch of a button. And with a 5 hour battery life at maximum audio output, you’ll be able to listen to your music comfortably for hours before you need to recharge. Don’t forget that the GOgroove BlueVIBE AGL is backed by a 3-Year Manufacturer’s Warranty.